Ashley Jackson is coming to Charterhouse to run a mix of indoor and outdoor Junior camps in January. He will be joined by other top players/coaches including brother Wesley and Barry and Becki Middleton. All three days will be a mix of indoor and outdoor, depending on numbers, interests (and perhaps even weather!). Sign up on the Jackson7 website for various options. Please note that 2 & 3 January are for all ages 7-18. The 4th January is for 13s and up ('Performance'). 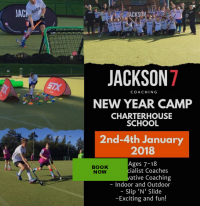 Please book through the Jackson7 Coaching website Note that GHC are first to have the opportunity to sign up and places may be limited so book early to avoid disappointment. 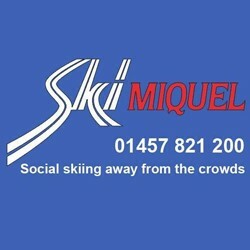 Book now and get a head start on the Christmas shopping!